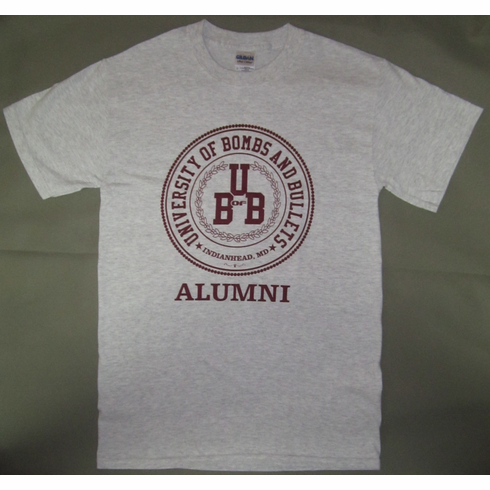 Available for Indianhead or Eglin, this University of Bombs & Bullets has a full front design. Burgandy print on Ash. Available in sizes Small through 2XL.